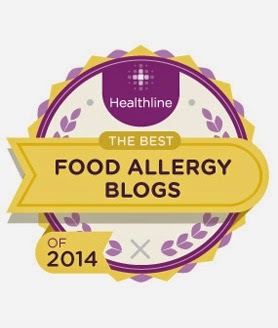 Thank you to Healthline for naming The Nut-Free Mom blog as one of their top food allergy blogs of 2014! This is the third year my blog has received this award and I am extremely grateful to be recognized in this way. Thank you, Healthline! Click this link to see the other winners; you'll see some of your favorites and might even find some new ones. I'm definitely in good company. A big congrats to all of the winners! As nice as it is to receive an award, the most important thing to me is the way that blogging has allowed me to connect with other parents and even teen/adult nut allergy sufferers coping with the same issues. If I have helped any of you in any way by sharing my experiences and knowledge, that is exactly my goal. And if you are a new reader, let me give you a warm welcome and invite you to peruse my 630 + blog posts that deal with the many aspects of nut allergy management. Just type your key words into the space in the search bar located in the upper left hand corner of this blog and let it rip! Since my receipt of this award is so close to May, which is Asthma and Allergy Awareness month, I've been thinking about some posts I've shared in the last year that seem to have resonated most with readers. 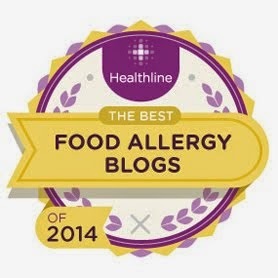 I realized that many of these popular posts have, at heart, the issue of food allergy awareness. If you have already seen these posts, thanks for reading! If you haven't, I hope you'll give them a look. My best advice for parents of kids with life-threatening food allergies. I've thought a lot about this topic over the years and watching my own kids grow, this post sums up the most important things I've learned. Working around food allergies at school parties. If you have school-age kids, you know this is a big one! Check out this post for tips on navigating the food allergy minefield that class parties can be. Thanksgiving with Food Allergies: Let's Dish. Look, I know we just had the spring holidays, but the thoughts and suggestions in this post can be applied to pretty much any holiday, because what do holidays all have in common? Food! This post offers advice on coping with holidays and allergies. What I really hope is that blog readers find practical advice and especially, helpful encouragement from a parent in their shoes. This is the other reason I wrote my nut allergy e-book guide for parents, because I firmly believe that even though food allergies are serious and must be regarded as such, they don't have to get in the way of anyone living a full life. Thanks to all of you for your continued readership! Now, let's hear from you. 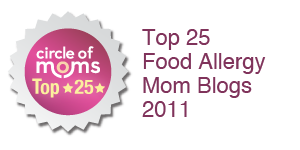 What are some of the biggest issues you face when navigating food allergies? The cutest chocolate bunny I've ever seen; it's from Dean's Sweets. Easter is soon arriving and with it, one of the biggest candy holidays of the year. If you're worried about peanut and tree nut allergies, you may not be hopping for joy at the thought of all the candy out there that is clearly off-limits for your kids. Still, you'd be surprised at some of the good stuff out there, both in stores and/or online. I've posted some of my favorites for you to check out. 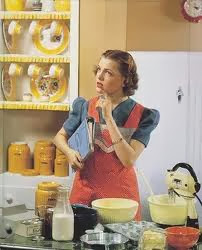 Please keep in mind that YOU are the best judge of what to serve your allergic child or family member. If you have any questions, I urge you to call companies directly. Some of these finds are peanut/tree nut only in keeping with the theme of my "nut-free" blog; but there are some goodies here that are free of many other allergens and/or gluten. 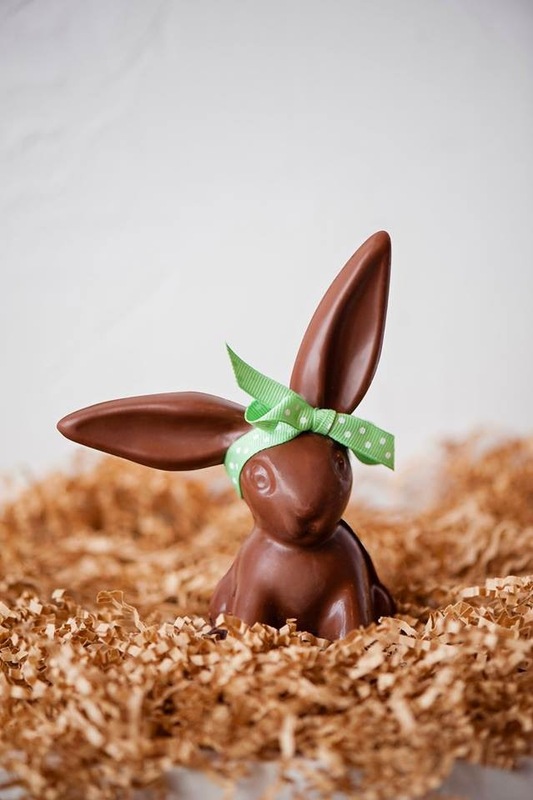 Dean's Sweets, a nut-free chocolatier in Portland, Maine produces delightful seasonal items including the bunny pictured above. Both milk and dark chocolate available; they even have chocolate-covered matzos for Passover. You can walk into their charming store or order online. See this link for more information on their seasonal products. Andes Mint Chocolates/Tootsie Candies. I found the Andes Easter-themed Chocolate Mint candies at my local Target and I just found out that Andes makes solid chocolate bunnies as well. A Tootsie Corporation Brand, Andes Mint Chocolates are peanut-free, tree nut-free and gluten-free. Click this link to see the Tootsie Corporation's complete selection of Easter goodies including egg-shaped Tootsie pops. 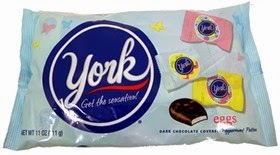 York Peppermint Patties Egg-Shaped Chocolates. This brand is part of the Hershey corporation so they will mark for allergens. My daughter loves these things. No nut allergy warnings but they do contain milk/egg. Read the label and call Hershey for more info. Cadbury Mini Eggs (with the hard candy shell). These are made by Hershey and Hershey will list for cross-contact with allergens. We love these little candy eggs and they make a great cake/cupcake decoration. Please don't confuse these with the Cadbury Creme Eggs (you know, looks like an egg yolk in the center); those have nut allergy warnings. But you won't confuse the two, because you're reading labels, right? :) See the picture above and call Hershey directly if you would like more information. New Easter treats basket from Vermont Nut-Free Chocolates. Vermont Nut-Free Chocolates is a longtime family favorite that never fails to please. 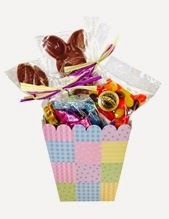 You can order pre-made Easter baskets or order individual nut-free bunnies, chocolate creams, jelly beans and other seasonal chocolates. My kids love them all. Click here to find out more. 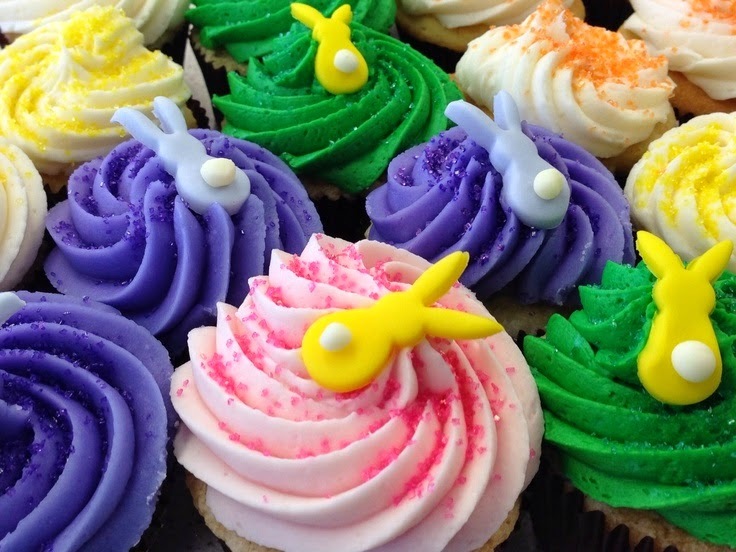 Nutphree's Easter cupcakes. Delicious cake with sinfully rich frosting. Nutphree's Cupcakes (pictured above) makes beautiful cakes (like my daughter's most recent b-day cake), cupcakes and cookies. They are Chicago-area only, but well worth mentioning since I know a lot of you live in the Chi-town area. Call Nutphree's for more details; all info is on their website. And, for those of you near a new Mariano's grocer, you can find Nutphree's in Mariano's stores. Nutphree's is a sponsor of this site. Candice Foods Protein Bars are a healthy choice and they are SO delicious. You can get them in some Midwest natural foods stores but ordering online is a breeze. These are free of many top allergens, gluten-free and kosher. Like Nutphree's they are owned by a parent of kids with allergies. Click this link to find out more. Candice Foods is a sponsor of this site. 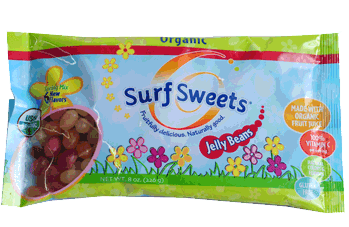 Surf Sweets jelly beans are all-natural and organic, available at Whole Foods and other natural foods stores. Really nice flavors and beautiful, springy pastel colors. They are nut-free, gluten-free and free of many other top allergens. See their web site for more info. 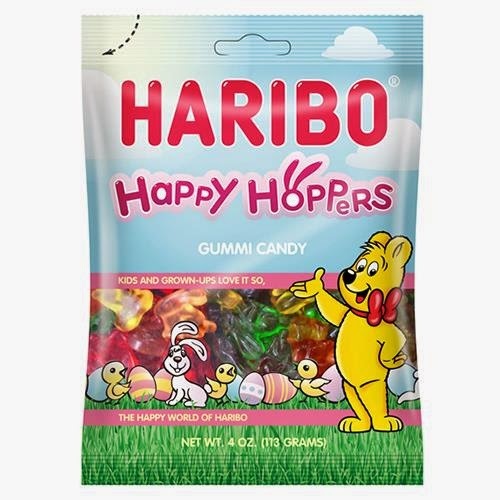 Haribo gummy candies are a family favorite, partly because they are available in so many different varieties, including "Happy Hoppers" bunny-shaped gummies. Here's an allergen info link for Haribo but call the company if you have further questions. Find them at Target, Walmart and your local supermarket. 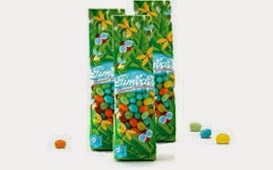 Gimbal's Jelly Beans are a wonderful allergy-friendly find, available at many supermarkets including Walmart. I've also seen them at Walgreens stores. So many unique and delicious flavors and best of all, top 8 allergen-free. They have seasonal varieties (above) but their basic jelly bean is available year-round. 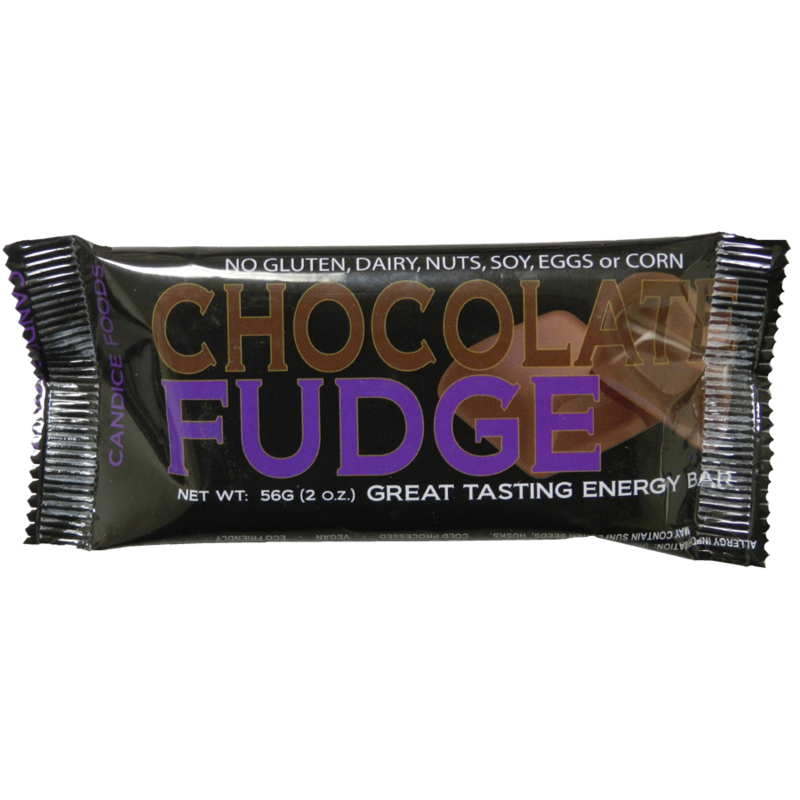 See their web site for a list of all of their amazing nut-free candies. These are my favorites; I'm sure you have yours, but I hope this helps those of you who may just be starting out with nut allergies, or maybe those of you who are looking for something new. You might also like this archived post where I talk about some non-edible Easter basket treats. 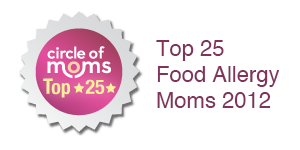 Just to be sure we're all on the same page here: You are the best judge of the foods you can give to your child, so please note that while some of these candies may be free from several allergens, you will have to check labels and check with companies if you have further questions. Thank you! !